Twenty-five years after Michael Jackson's visionary BAD album and tour left an indelible mark on pop culture, BAD25 takes you back inside the recording sessions, film shoots and sold-out stadiums for an intimate look at the King Of Pop's creative genius. Poignant and candid, the documentary directed by Spike Lee goes beyond paying homage to the record-setting album featuring such iconic songs as "Bad" and "Man In The Mirror." Using never-before-seen footage and candid interviews with subjects ranging from Martin Scorsese, Mariah Carey and Sheryl Crow to Stevie Wonder, Questlove and Kanye West, Lee chronicles what became not only a watershed moment in Michael Jackson's growth as an artist but in popular music as well. 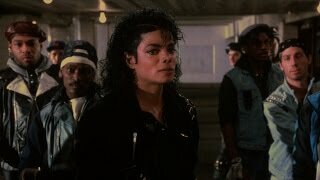 The New York Times called BAD25 "filled with oh-wow moments," while Time lauded the film as "an intimate view of a performer at his peak in the intense splendor of creativity.